Born in 1974 in Sơn Tây, Hà Nội. 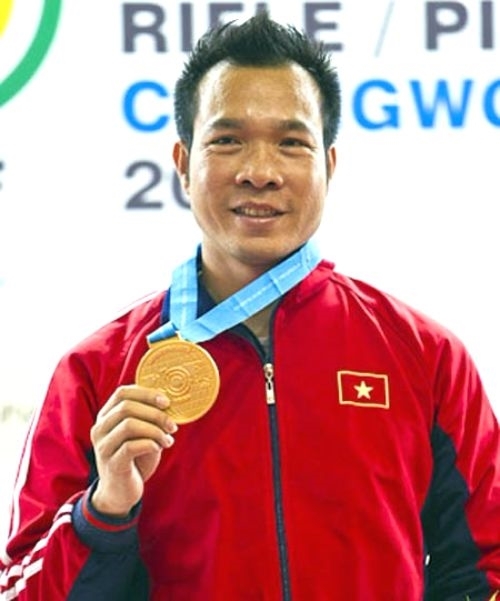 Joined Việt Nam’s national shooting team in 2000. 2016: Competing in Rio Olympics in the 10m air pistol event. Won two bronzes in the International Shooting Sport Federation (ISSF) World Cup in Bangkok and Munich. 2015: Two golds in 10m air pistol (team) and 50m pistol (individual). Silver in 50m free pistol at the 28th SEA Games in Singapore. 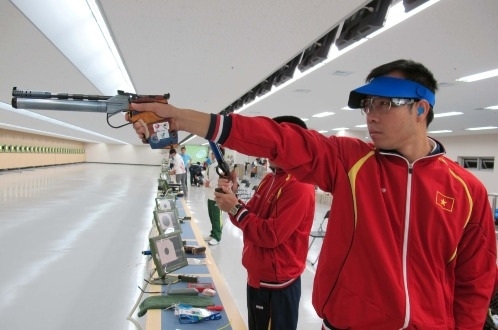 Two bronzes in 50m pistol ISSF World Cup in Changwon, South Korea, and Fort Benning, United States. 2014: Bronze in 50m pistol (team) at the Asian Games. 2013: Gold in 10m air pistol in the ISSF World Cup in Changwon. Three golds in 10m air pistol (team and individual) and 50m free pistol (team) at the 27th SEA Games in Myanmar. 2012: Gold in 10m air pistol, silver in 25m centre fire pistol (team), bronze in 25m centre fire pistol (individual), and two bronzes in 10m air pistol (team and individual) at Asian Championships events in Doha, Qatar, and Nanchang, China. 2011: Gold in 10m air pistol, gold in 25m centre fire pistol, and silver in 50m free pistol (team) at the 26th SEA Games in Indonesia. 2007: Bronze in 10m standard pistol at the 24th SEA Games in Thailand.